Footballers are some of richest sportsmen in the world. Despite this, problems such as hair loss can still be an issue for these athletes. Here's a closer look at the unique ways these world class footballers deal with their hair. The Brazilian footballer Neymar da Silva Santos Junior plays for the Spanish team Barcelona and is known as one of the best strikers in the world. 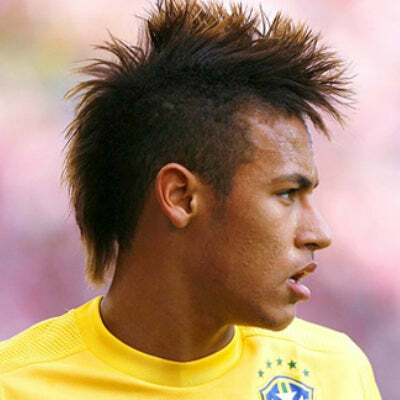 Out of all the football player hairstyles in the world, Neymar has certainly had some of the most interesting looks. 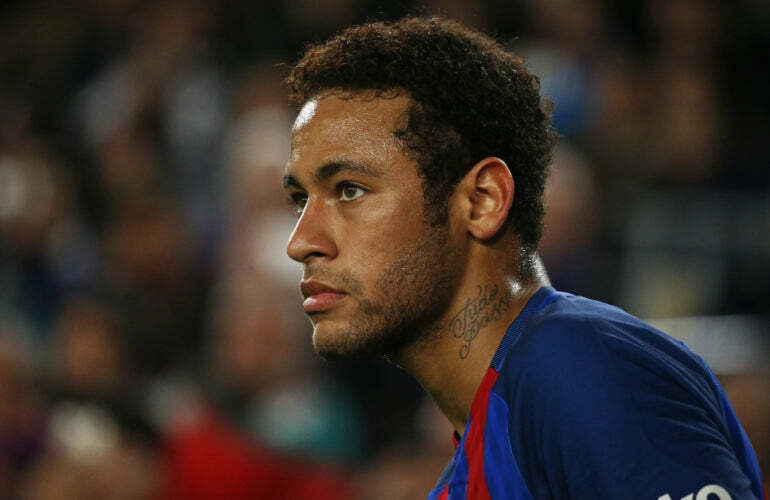 Famous for dying his naturally dark hair bleach blonde, Neymar's hairstyles have ranged from shaved mohawks to tight braids on the back of his head. However, according to his personal barber, this costs him over 2000 euros a month. Despite being known for his pitch-perfect hairstyles, this amount of styling apparently left Neymar's natural hair in a pretty terrible state. His barber claims that the various changes he applied to his hair over the years meant that it was in a poor condition. Going for a more subtle look, Neymar Jr's new haircut is a shorter and more natural style. The dark curls appear a lot healthier than some of his previous haircuts and arguably suit him better. Although he has tried out many different styles, Neymar is lucky enough to afford a barber to look after his hair. Changing hairstyles so drastically can lead to hair breakage if you're not careful. The Welsh footballer Gareth Bale is one of the most expensive players in the world. Famous for his distinctive man bun style, the Real Madrid player has recently shown evidence of balding. During the Euro 2016 tournament, Gareth Bale's bald spot became increasingly obvious during matches. Although Gareth Bale's man bun may cover his hair loss most of the time, it may actually contribute to it. Tight hairstyles such as a bun, braids or dreadlocks can apply unnecessary tension on the hair follicles, which can ultimately contribute to the thinning of your hair. If, like Gareth bale's hairstyle, you're starting to show signs of male pattern baldness, then trying to hide it may not be the best course of action. When Gareth Bale has his hair down we can see a much more natural and healthy style. Despite his natural widow's peak, his long locks appear full and thick around most of his head. By using hair growth treatments such as Minoxidil and Propecia on his crown there is a possibility he could regain the lost hair. Cristiano Ronaldo is arguably the most famous footballer in the world. Playing for Real Madrid, he is just as famous for his life off the pitch as he is for his skills with a football. When it comes to his look, Ronaldo's hairstyles have always been an important talking point. Although he probably doesn't have to worry about hair loss just yet, all of Cristiano Ronaldo's hair products could cause damage to his hair in the long run. Keeping your hair healthy is important for making it last as long as possible. Using large amounts of styling products and heat from hair dryers can damage hair and cause breakage. 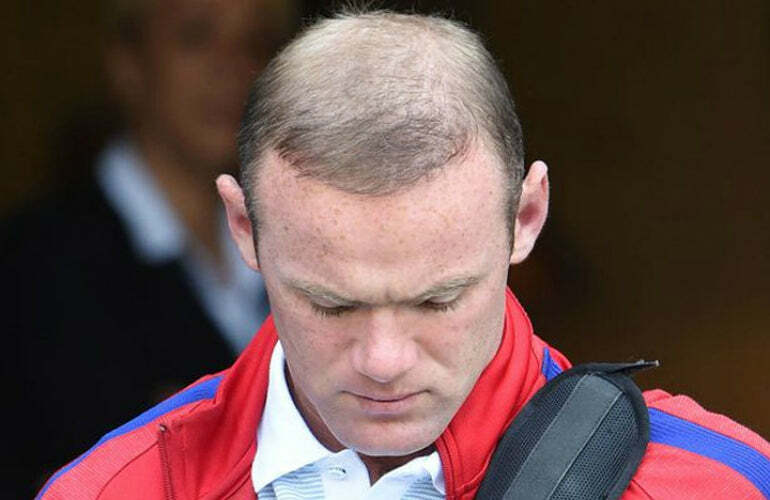 Since 2011, when Wayne Rooney had his first hair transplant, he has become a poster boy for hair loss treatments. The Manchester United striker has made tabloid headlines with the different ways he has attempted to combat hair loss. 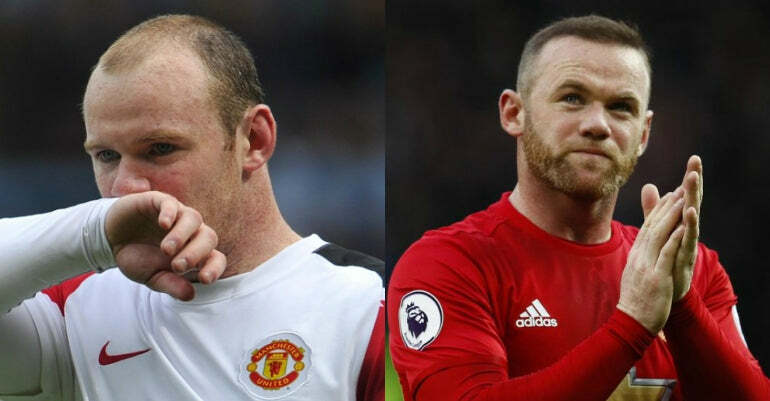 Although Wayne Rooney's hairline became visibly fuller, there is a suggestion that, despite two hair transplants, he is suffering from hair loss again. After the Euro 2016 tournament, people were confused at how Wayne Rooney's hair appeared to become dramatically thinner in a very short amount of time. Other than raising the question of why he spent thousands of pounds on a hair transplant, it also suggests that Rooney has been using hair loss concealers. Hair loss concealer is a short term cosmetic powder that works by making hair appear darker and fuller. Although this may be the reason for Rooney's hair appearing thicker during matches it doesn't address his hair loss problem. A possible reason for his thinning hair is because he hasn't continued to use hair loss treatments after his transplant. This means that, despite the transplant, the hair continues to thin. As the manager of one of England's biggest football clubs, Jürgen Klopp knows what it's like to be in the spotlight. With players like Wayne Rooney speaking publically about their struggles with hair loss, Klopp has joined them by openly admitting that he has also had a hair transplant. 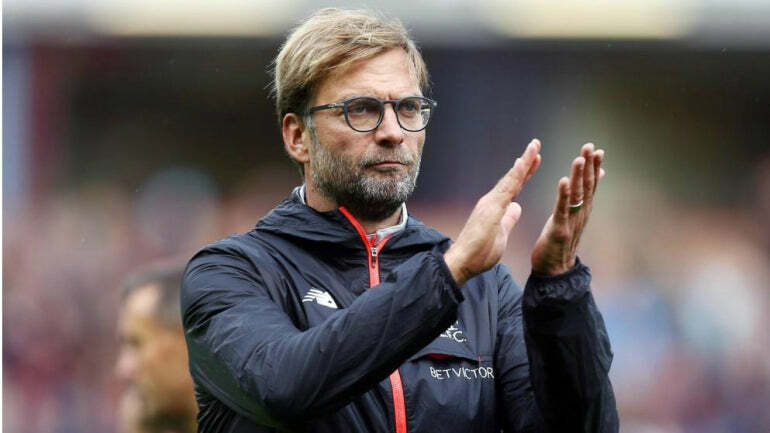 According to the German website Bild.de Klopp began wearing a cap during matches in 2012 and had a hair transplant to combat his receding hairline. Although Klopp maintains a healthy head of hair, as we can see with Rooney, aftercare is extremely important when you've had a transplant. If left, your haircut after a hair transplant can quickly begin to thin back out. Although they may replace lost hair, transplants don't stop the production of DHT, the main cause of hair loss in men. In order to stop this you must continue to take DHT blockers such as Minoxidil and Propecia. Since taking charge of Chelsea, the Italian manager Antonio Conte has managed to take the struggling team to the top of the league table. 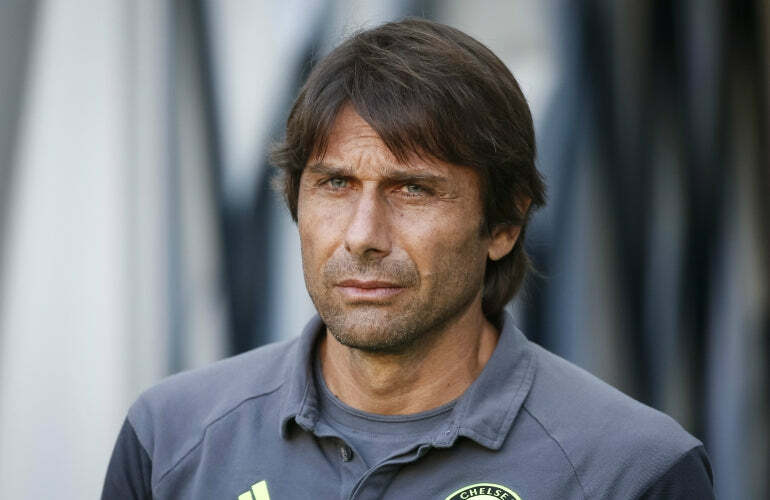 As well as managing one of the biggest teams in England, Conte also sports a full head of dark hair. However, back when Antonio Conte was a player, it was blindingly obvious that his hair was beginning to thin out. 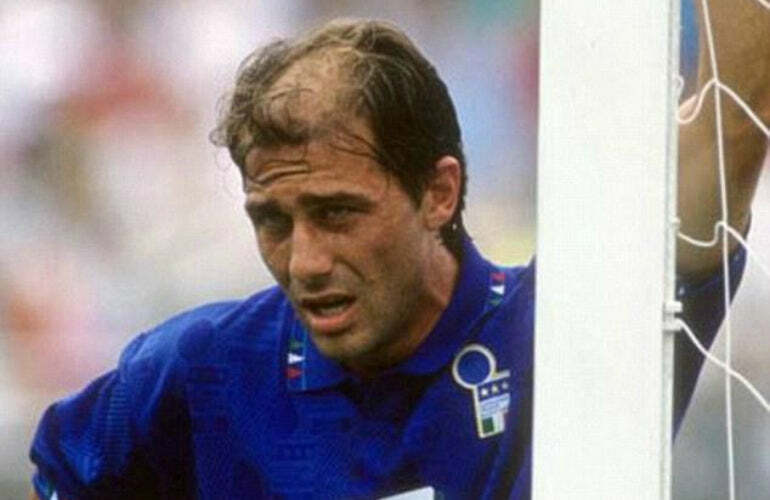 According to reports online, Conte regained his hair when he went for a hair transplant procedure in Canada. Although there are several hair transplant methods, the one that Conte most likely underwent is known as Follicular Unit Transplantation (FUT). This involves transplaning a group of follicles as well as the glands, nerves, muscle and tissue from one area to another. Although many people believe hair transplants are a quick fix, it's important to understand the need for after care. The main cause of male pattern baldness is the hormone Dihydrotestosterone (DHT) affecting the hair folicules. Although transplants can bring hair back, the DHT will continue to thin it. Continuning to use DHT blockers such as Minoxidil and Propecia are therefore extremely important. Although professional footballers are known for having impeccible hair it's important to realise that they also have a ridiculous amount of money. Unfortunately, most people can't afford to spend thousands of pounds on a hair transplant that might not even work. Instead, if you're worried about hair loss, you should consult a professional or use medically tested products such as Minoxidil and Propecia.